We are launching this new month a special thing, called monthly topvoters! The top 3 topvoters will be rewarded with something special as a thank you. Also we have optimized our vote system which will be active from this week. We are broadcasing now every single vote (like we did 1 year ago) and voteparties are now more and better. The monthly topvoter season will begin within a few hours (1 February) and will end on the last day of the month. The winners will be announced on the 1st date of the new month. I want to give you guys also a sneakpeak of the Kit-PVP reset which is prepared to launch this week. Kit-PVP will contain a whole new map (thanks to the CN-BuildTeam of course!) and a top-kills scoreboard. Crates, votes and other things have been nerfed aswell. Also we are still working on the last details of Prison. 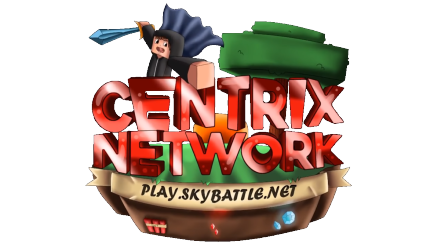 I can tell you that it's the most huge prison 'update' from Centrix ever. We would like to know what you guys want to be fixed, added or anything else. If you have any idea's or suggestions, let us know then! Create a forum post and tag us (@Jooster11 or @didjee2). Thank you and enjoy the new updates! First for? Commenting?... jezz the world today.. The prize will probably be something like /fly command or colour command or something like that. Ye, last reset was boring and bad af. That's why they stepped up and making huge one. Kit-PVP reset which is prepared to launch this "week". Hey, ive applied for helper and have been waiting for over a week for a response, could any admins help please? We wanted to post KitPVP post & topvoters at the same time, which is why the post is later. I don't have anything to say on the second thing xD. Jooster11 i did not under stand what you mean ?_?